The Reconstruction Era is complex. The historical figures, thought processes, opinions, and situations often seem distant and a little unknown to us. The struggles of rebuilding and even re-imaging the United States after the Civil War brought the ideologies from the battlefields to the state capitals, the White House, and the Congressional chambers. Today we’ll talk about the situation in the very beginning years of Reconstruction, focusing on Andrew Johnson, Constitution interpretations, new state governments, and Congress’s views. Andrew Johnson was a self-made man, but he wasn’t as affable and charismatic as Abraham Lincoln. Born in 1808, Johnson grew up in poverty and was eventually apprenticed to a tailor; after five years of apprenticeship to his harsh master, he ran away and moved through several different Southern states. Though he didn’t attend school, Johnson learned to write, read, and listened to public debate in the tailor shops. He eventually opened his own shop in Greenville, Tennessee, married, had five children, ran a successful business, and stated investing in real estate. Beginning with politics at the town and county level, Johnson later served in the state legislature, represented Tennessee in Congress, and held office as the state’s governor. Johnson opposed secession during the Civil War and was appointed military governor of Tennessee after the state was semi-recaptured in 1862. During the 1864 presidential election, Johnson was chosen as the vice presidential candidate for the Republican Party, running with Lincoln; they won, Johnson became vice president in March 1865, and weeks later, he found himself taking the presidential oath after Lincoln’s death. As leader of a newly “united” nation, Johnson was in a difficult situation; there wasn’t precedent for Reconstruction and the Constitution – which he interpreted strictly and viewed with an almost spiritual reverence – set up part of the troubling conflicts Johnson faced. Constitution Interpretations: Did Anything Change From The Antebellum Era? Familiar with the Constitutional debates leading up to the Civil War? Well, they re-emerge for the Reconstruction. Let’s try to simplify (maybe oversimplify the situation) by dividing and explaining the two views. Union. States were not sovereign and were guided by the Federal government. Laws were supposed to be for the good of the control with the Federal government working to that end. States are sovereign. The states had joined together in 1787 to help each other, but the states held the final say and could even leave the Union if they didn’t like the situation. 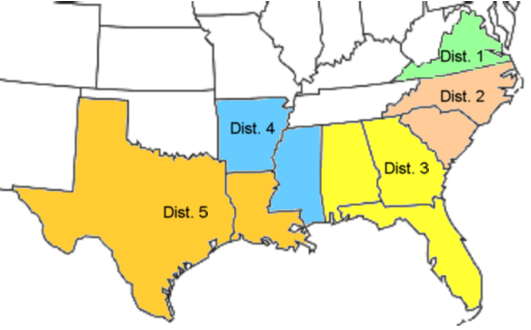 Southern States: What Happens Next? 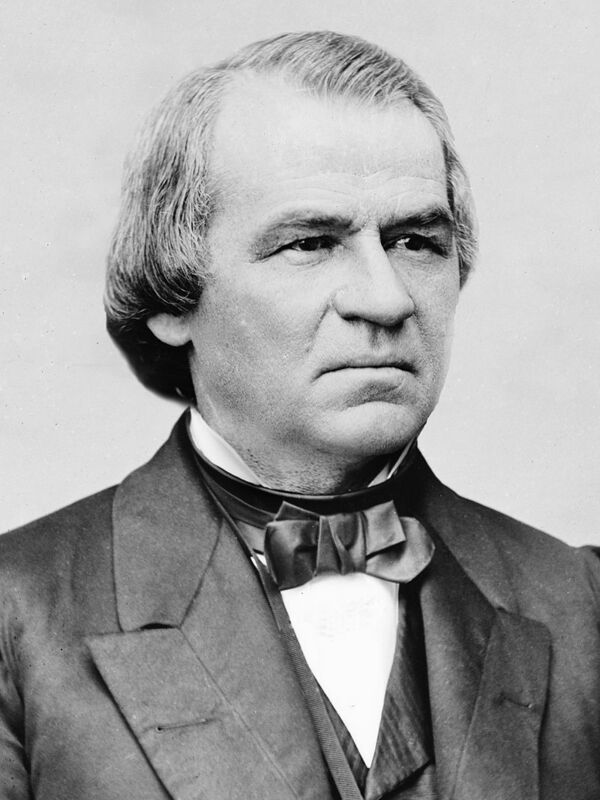 In 1865 Andrew Johnson allowed and encouraged the Southern States to reestablish their state and local governments. He believed it would be best to get the states back to normal government proceedings as soon as possible. The Southern States were quick to organize governments – that usually included appointing former Confederate government or military leaders to office. Congress went on recess, and Johnson let the states figure out the situation on their own. His interpretation of the Constitution prevented interference. 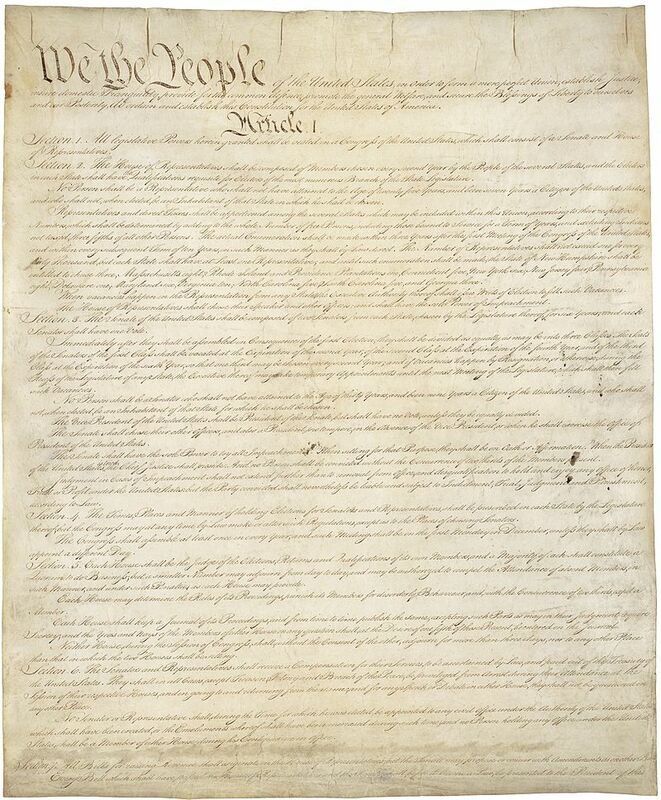 It was an interesting and strict interpretation of the Constitution. But there were some problems. Should former Confederates be allowed to hold office in the Federal government? And what about the “black codes” that were passed by the local and state governments to basically ignore the 13th Amendment and end of slavery. There were certainly challenges with this approach to Reconstruction and reunion. The Republicans – Radical Republicans as they were called – had won the majority in Congress, and they weren’t too keen on the happenings in the reorganized Southern state governments. Congress wanted to set-up a series of requirements to make sure the Southern states adhere to new requirements before they rejoined the Union and got their representatives back in Congress. They also wanted to guarantee and protect freedoms for the freedmen – rights that were clearly being violated by the new state governments. To oversee the Reconstruction, in 1867 Congress voted to divide the South into military districts, and started taking an active role in legislation, leaving less and less to the discretion of the states – there by adding powers to the Federal government and learning to an extreme view of Union. Today’s post highlights the background and major players in the early Reconstruction situation. However, we have only set the stage and met the some characters. Next week we’ll delve into the trial of a president over political issues and disagreement over the handling of the Reconstruction. So…this isn’t exactly a conclusions. It’s more like “hold that thought” because otherwise I’ll exceed my word count for this week.